If the second best part of being a parent is buying them all the gifts that you wanted when you were a kid, than the 3rd best part of being a parent is buying your kid all of the books that you ever wanted. My wife and I are readers. We love books. We go to the library all the time. 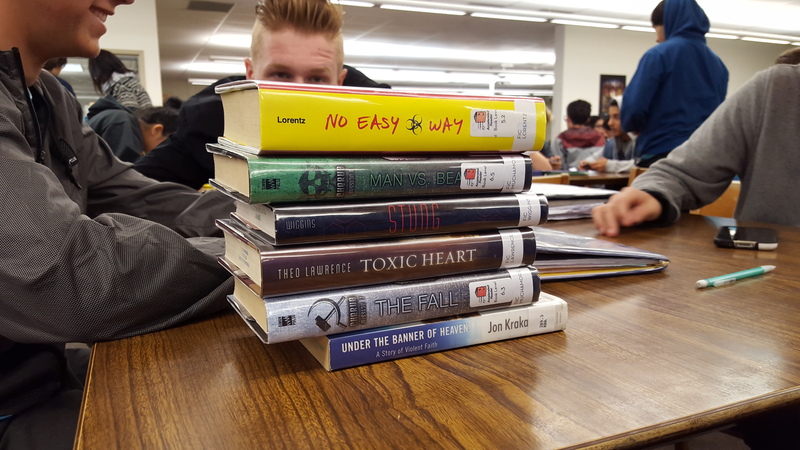 This is what a “light load” of reading looks like when we go to the library. So it was kinda important to us that our son loved to read. There’s an element of luck with getting your kid to love reading, but here are just a few of the steps we took. We read to him even before he was born. The same book every night so he would get used to our voices. We read to him before he could look at a book. We had play books in his room so he could get used to turning pages: cloth books, wood books, we wanted him to enjoy playing with books. We read to him all day and reading was a part of our nightly ritual. There are so many books to help kids get ready for bed. My wife was a preschool teacher and is a kindergarten teacher so we had a great start in finding good books. I love children books so much I even created a children’s book unit for my students. We would buy him books for Christmas, Halloween, Easter, birthdays. He had book shelves FULL of books and we would rotate them in and out with boxes from the garage. We kept the TV watching to almost nothing and even when he was old enough to play video games he was limited to one hour per week. We let him start picking out his own books. He did a pretty awesome job. 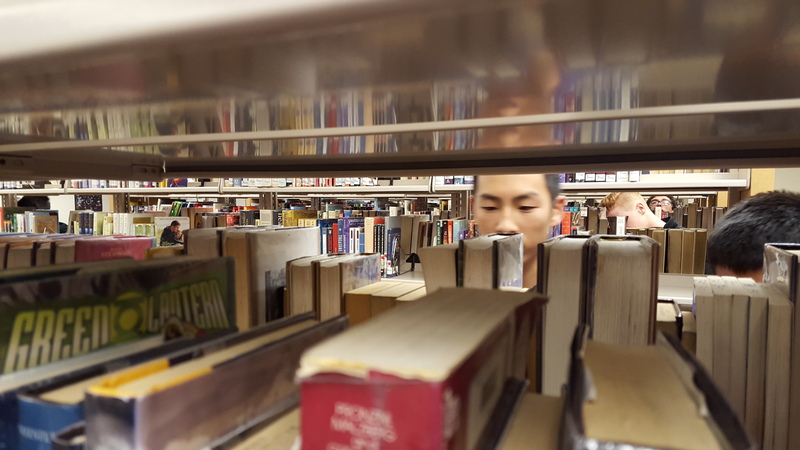 But the best move we made, both for him and for us, is having multiple library cards and visiting the library often. 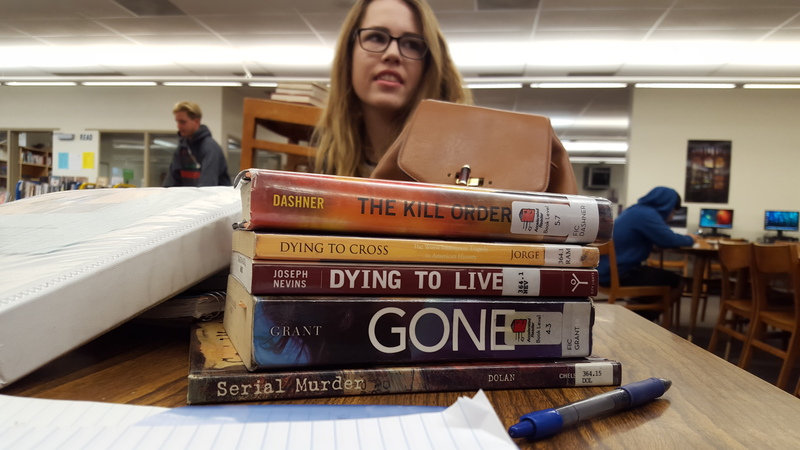 I love the library. Librarians are the gods of learning. 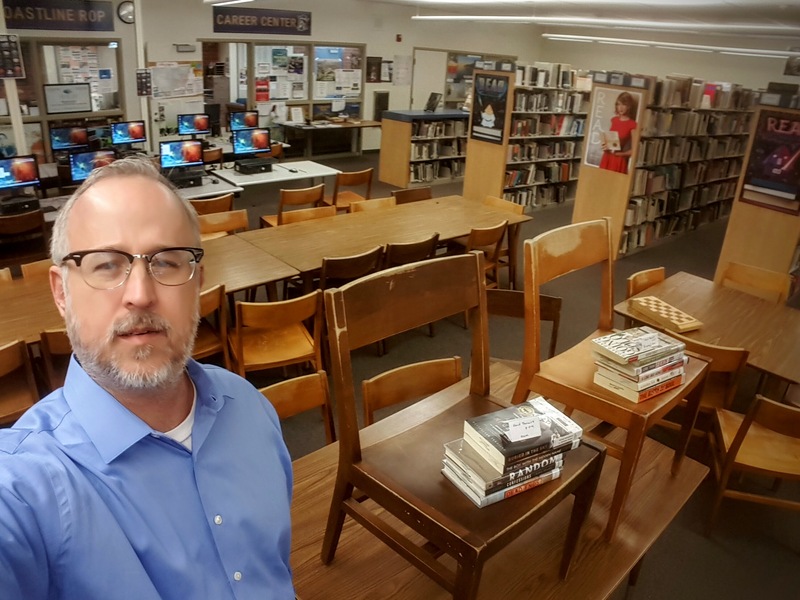 While I love my district deeply, the saddest thing for me about our district is that we just have one full-time librarian for eight high schools. Our full-time librarian (Stephanie Taylor) is amazing, but I worry what will happen to our libraries when she retires. I wish we had a full-time librarian on every campus and even spoke to the school board about this once. Our library is called a media center now, it has two computer labs inside, but for me, it was always be a library and the draw will always be… books. 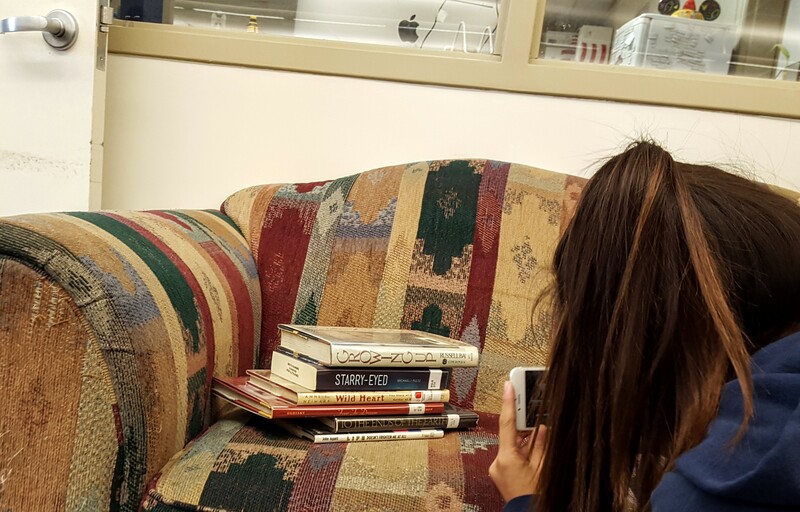 So my challenge as a teacher is how do I get my students interested and INTO books? Every Monday we have Idea Fuel Mondays where I give my students time to read. I’ve given up books reports because I got tired of the gaming of book reports and the many strategies that teachers use to make sure kids actually read the books. Lately I’ve been using the YouTube Channel The Art Assignment to get new ideas for my English class. One episode in particular caught my attention. BINGO. I can use this “art assignment” to literally get my kids INTO books, or at least the book stacks. So here is what I did to transform Nina Kathadourian‘s sorted books activity into a class activity we could do in the library. We watched the video above in class. There was no way we could watch the video and get this project done in the same 53 minute period. 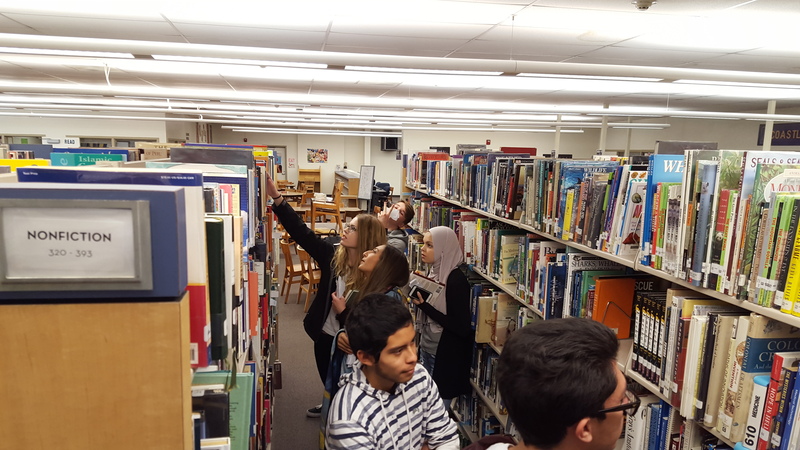 I talked to the librarian about what we were going to do and found a good day to bring my class to the library. 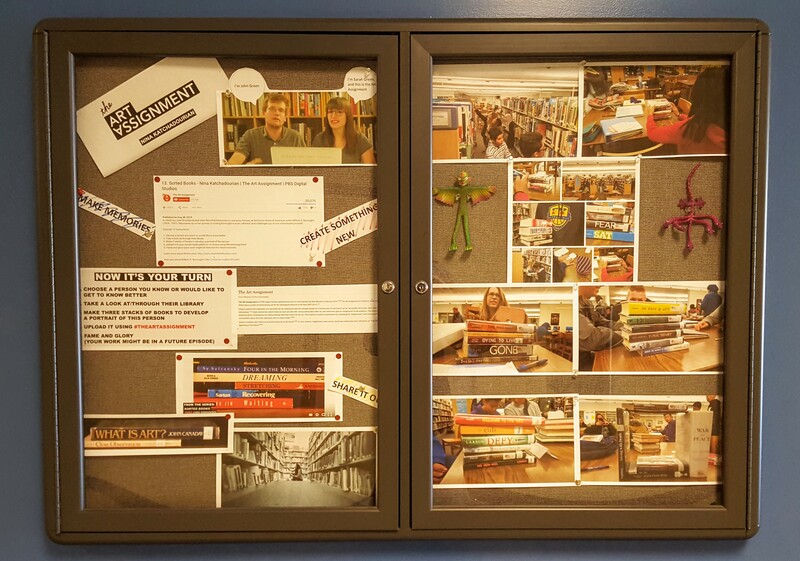 I asked her permission to create a display area AND to use the library’s display case to create a display advertising our activity and the results. Once we got to the library, here is what we did. STEP ONE: I made my own sorted book poem. Some people call these spine stories or spine poems or book poems, or title poems. If you know of another name for this activity, please let me know below. I made my own so I would know how long it would take and how hard it would be to do this. You need to do what you are asking your students to do. STEP THREE: I brought my classes to the library- YAY! 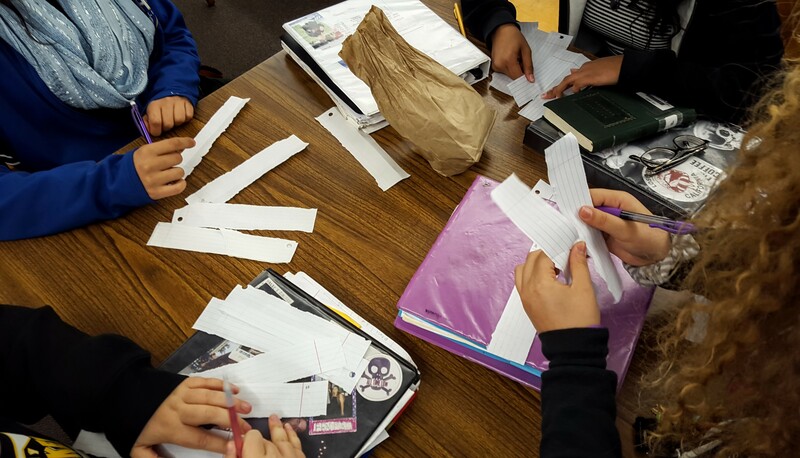 I asked my students to make strips of paper with their name on it and a symbol. I did not explain what we were doing at this point. Whenever I ask students to start folding or tearing paper they are always curious about what is going to happen next. Curiosity is a good thing. 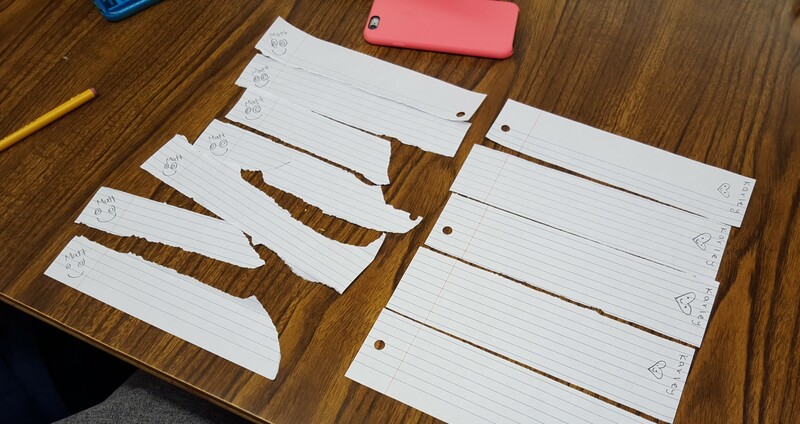 What was really funny/interesting to me was how concerned many of my students were with making their paper tears look neat. They took so much time doing this. I joked with them that they cared more about making their tears look neat than the care they put into their writing. It was fun watching how they approached this part of the task. This step is really important to the library staff. Otherwise how are you going to get all the books back to the right spot in time for the next period. 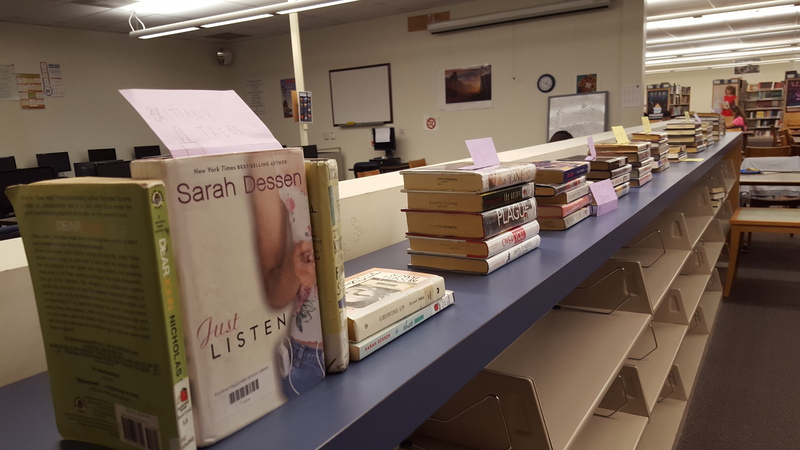 I saved about 10-15 minutes at the end of the period for my students to use the book marks to find exactly where they took the book and return it to the right spot. So… what else could you do with this? You could use this activity as a response to a historical event or current event. 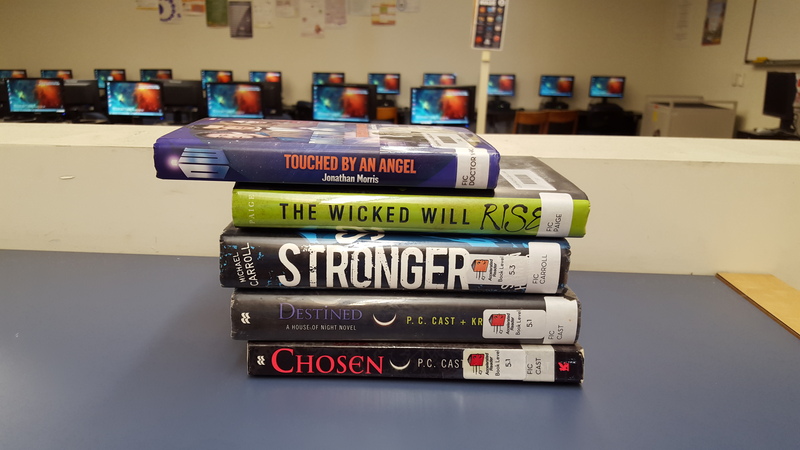 You could give them a word list and use the library catalogue to look up titles with the word list words and then create something with the books you find. 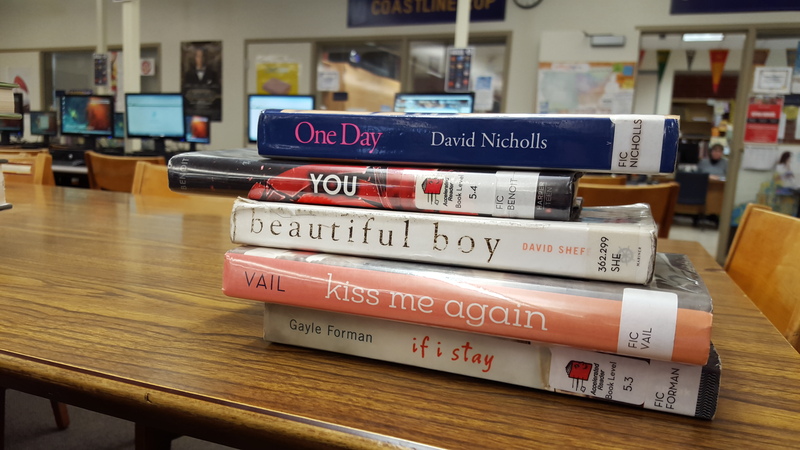 But what if you’ve already created book or spine poems and you want to get your students back INTO books again? Well… you could some up with your own ideas and share them in the comments below OR you could have students create #promopoems . What’s a #promopoem ? You take your students in the library. You have them either find a brand new book that looks interesting or a favorite book. You have them look at the beginning few paragraphs and last few paragraphs of the first few chapters of the book and then write down some favorite lines or phrases. Then using the collage feature of PicMonkey create a promotional flyer using the cover of the book on the left and a poem created from those favorite lines/phrases on the right. Then print them out and create a gallery walk for your students. Maybe someone will find a great new book and a new reason to get INTO books. Can’t you just picture someone handing that to you as you walk by a library, or on the streets of Los Angeles? 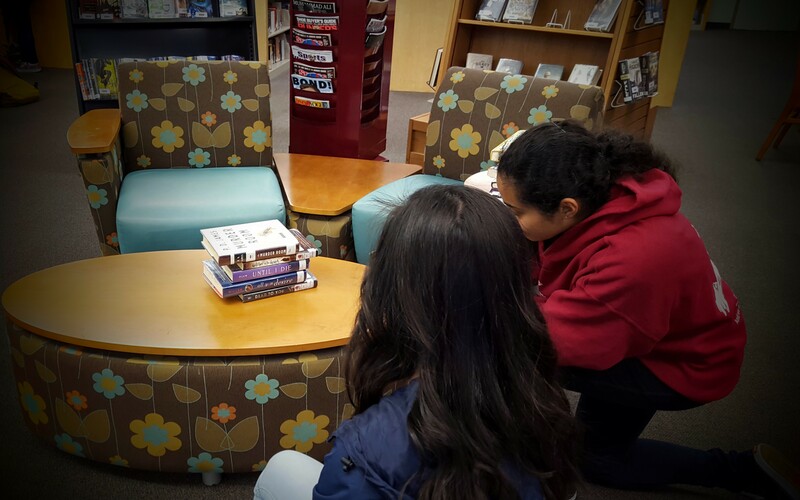 Taking my students to the library (and not just the computer lab) was so much fun. 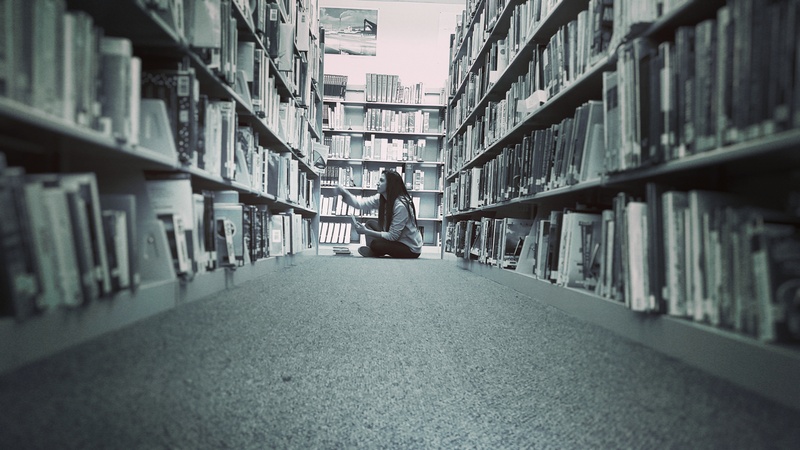 Watching them talking and searching through the stacks was almost magical. When I saw this one young lady in the stacks it made me think of walking into the back of the wardrobe of the closet in the Narnia books and wondering just what you would find when you opened the the cover. 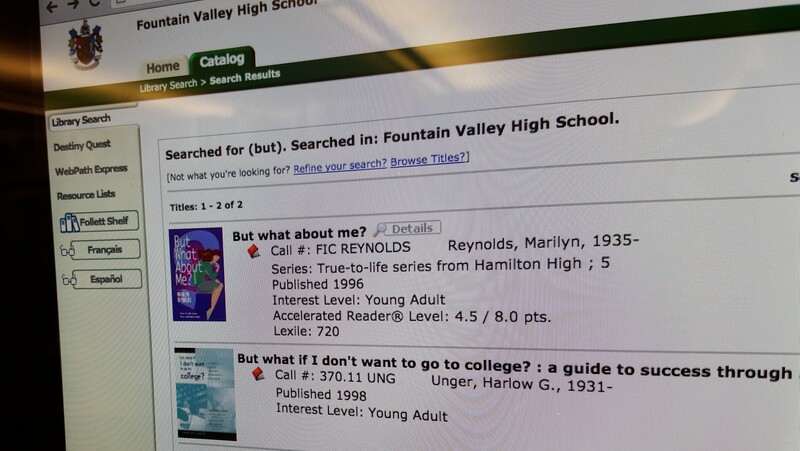 Posted in Activities, Children's Books, Creativity, ELA, Fun, Fun Activities, Lesson Idea, Library, Reading, student choice, Student EngagementTagged Art, Art Assignment, Art in ELA, Byron Barton, Children's books, creativity, David Theriault, ELA, Fountain Valley HIgh School, Fun, Fun Classroom Activities, FVHS, How To Get Your Kid To Read, Lesson Idea, Librarians, Libraries, Library, Love of reading, Narnia, Nina Katchadourian, Reading, Sandra Boynton, Student EngagementBookmark the permalink. Dude, you’re cool. I love how you try to encourage engagement. It’s the first step to explore new ideas and unlocking curiosity. Seriously, this is awesome. 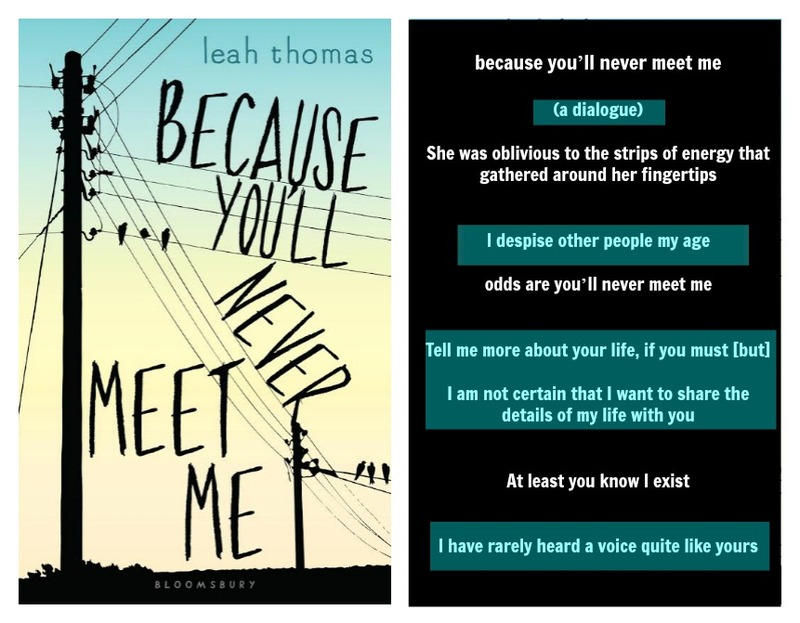 I haven’t heard of the spine story idea, amazing blog post and I can envision the engagement and exploration of books/story/worlds etc being very exciting. Thank you for sharing!